One day, three men are out having a relaxing day fishing when suddenly they catch a mermaid. 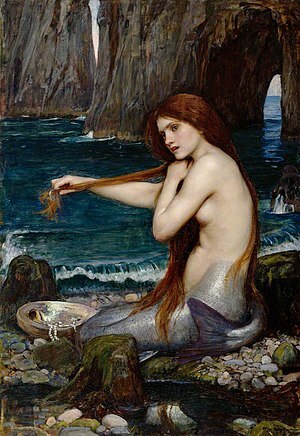 After they haul the mermaid up in a net, she promises that if the men set her free, she will grant each of them a wish. The first man doesn’t believe it, so he says, “All right, if you can really grant wishes, then double my IQ.” The mermaid says, “Done.” Suddenly the first man starts to flawlessly recite Shakespeare and analyze it with extreme insight. The second man is so amazed, he looks at the mermaid and says, “Triple my IQ.” The mermaid says, “Done.” The second man starts to recite solutions to mathematical problems that have been stumping all of the scientists in various fields from physics to chemistry. The third man became a woman.